Am back 2 years later and am still driving my coupe ,I like them that much I now own 3 or them ,red ,blue and a green one.Very cheap fun cars to own and drive,parts are also very cheap , 270bhp can be made for under £120 with a chip, air box mod, and 360deg bearing upgrade running 25 psi of boost.If you have £2 - 3k to spend on the engine ,500bhp can be made using forged parts ,H beam rods ,pistons a big turbo unit with light head mods and a 3" exhaust system ,I have 2 friends,one with a proved 503bhp the another one is running with a proved 562bhp print out, but he has spent a bomb and its not worth spending 10K+ for just 50 or so bhp extra .Am away to fit a GT28Rs turbo ,new Bosch 470ccm injectors and make my own 3" exhaust system and do my own porting,am aiming for the 380-400 bhp for spending less that £1K including my new 6 paddle clutch kit,you cant beat a coupe for cheap tuning mods,ware can you get a 380+bhp car for a total outlay of less than £2K and full comp insurance with all mods disclosed for only £350 a year ? if you do know of any thing cheaper to run with as much bhp ,please post the info on here . Two months on and,engine oil pressure is still good so main bearings are fine.I replaced following parts-front wish bones 102gbp,track rod ends 48gbp after I had to get wheel alinement done at a cost 40gbp,power steering belt adjuster 29 gbp, front and rear discs inc pads 116 gbp ,new rad hoses 43 gbp, plastic gear stick housing from breaker 35 gbp,oil filter and oil change 30gbp,engine mounts 185 gbp,spark plugs 26 gbp,and today a rattel from clutch thrust bearing and turbo needs replaced as does the exhaust manifold a common fault cracked casting,seals are on there way out,am using one ltr of oil per week,also sensor for water temp is needing replaced was a very warm day and engine was running a higher temp than normal,its never ending !!!!! 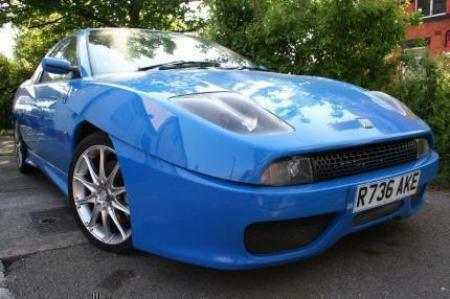 So you want to buy a fiat coupe do you ? I still say yes for the fun aspect side of things. I now owned one for 6 months and the fun I have had from a 1000gbp buy is amazing, but I must warn you this car needs 24/7 work on it if you drive it hard.Am 48 year old driver am past boy racing ie wheel spinning etc its just as well I can do all of the work by myself and I do not recomend anyone to buy this car if you cant do the repairs on it by youself unless you have a big wallet !!!!! I love this car people laugh becase its a "Fiat" but I get the last laugh when I stick my finger up and say good bye blasting away from them on country roads up here in Scotland. 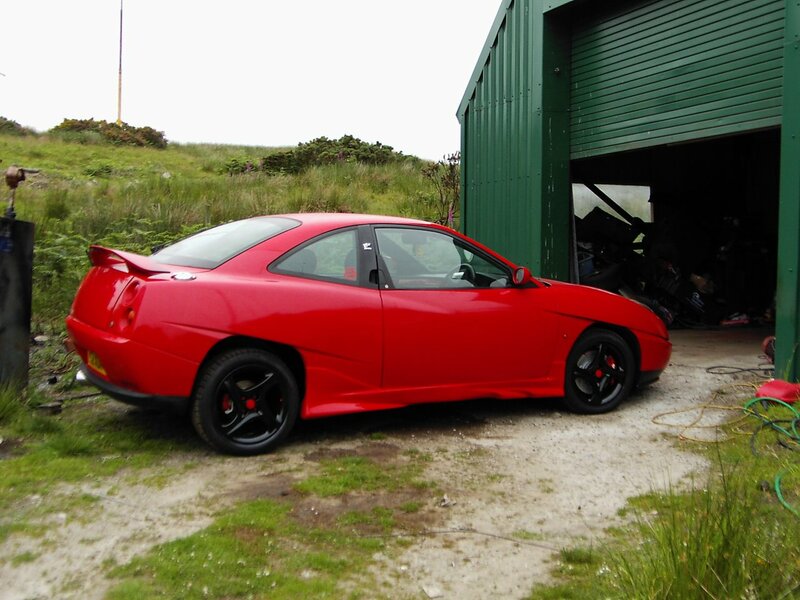 my dads got a fiat coupe 20v 2.0 turbo and it has been upgraded to 360 bhp. 0-60 in just under 3.2. 180 mph on the clock, does 170 mph top speed. its the animal of all cars. I did a 8.59 bridge to gantry at nordschliefe in mine oct2008 with new tyres and 1.1 boost no other mods 3 people on board and a full boot on a drying track.. Reckon 8.30 with occupants and baggage missing plus no wet sections.. Probably the best value performance car i have ever owned... Was totally reliable too.. Love the 20vt noise too.. Have an evo at the moment but i prefer the coupe and will buy another in the future.. Yes! a real monster and a beautiful/aggressive design! with just a eprom and a exhaust it can deliver about 260hp, with these it can burn the 0/62 mph in only 5,5 seconds! 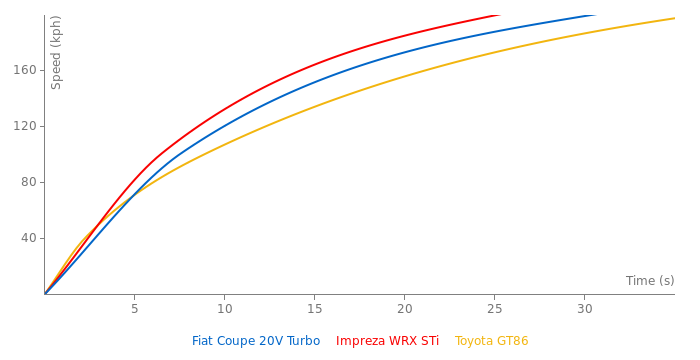 (6,2 stock) and fly at 265 Km/h (252,029 stock, italian "quattroruote" road test in 1999), and this with only a soft soft tuning, an optimization :D , a compact missile! and the sound of the 5 cyl is a dream! i'll buy one next month. The fastest fiat ever made ! A real Italian monster for few money.